You can hike even if you have bunions and you can even do it in style! 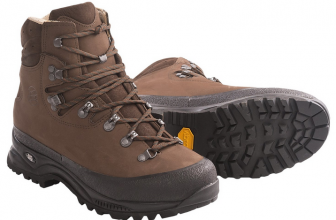 These leather boots bring comfort, stability, and great traction in any hiking situation, using only the very best materials and top European craftsmanship. No foot problem should stop you from hiking! 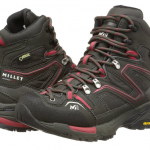 I searched high and low for a good pair of hiking boots for bunions and I found these (after much loud work, I admit) German boots that are the best when it comes to comforting my bunions. Not like there is much competition out there that offers such boots. I have to mention that these boots have great build, sturdy construction and even if they are made to cup the bunions, they don’t look bulky at all. Actually, you can’t tell from their design that they are wider! The boots come with a soft leather lining with no seams at the big toe joint- that’s the most important part! 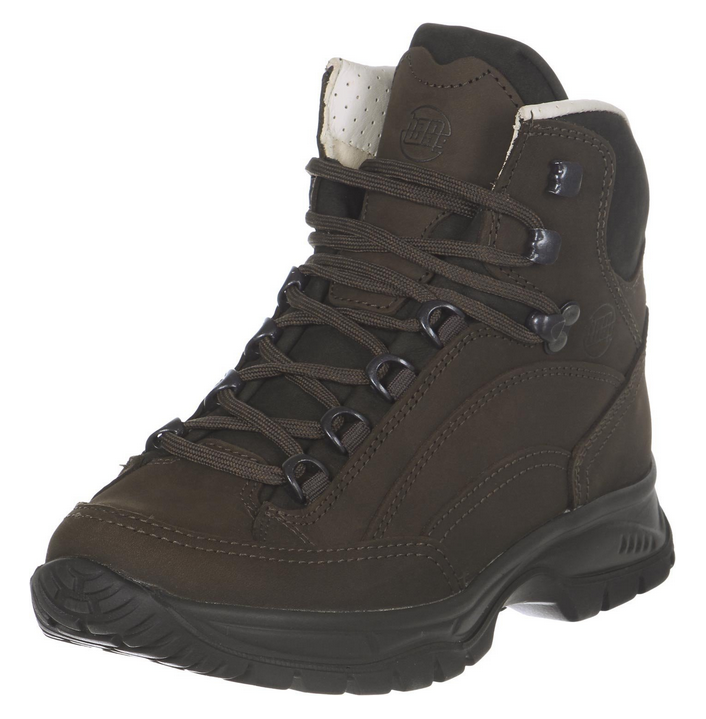 The cuff is padded with soft leather and the entire boot has good cushioning. 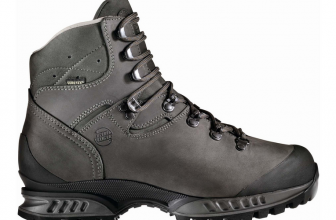 The shock absorption in the heel and the one from the inserts in the outsole make these boots comfortable even on rocky, hard trails. Downhill was easy peasy also as no toe hit the front of the boot. The traction on softer grounds is just as good as the one on the rocky trails. Muddy and slippery are covered as well. The clamping lace hook on top of the uppers make the boots easy to put on, to take off and… make the lacing precise above all! The lacing rings are flexible and I can tie the boots as tight as I need them- no more, no less. There is a flex zone at the heel, and the ankle support is good. The leather lining is chrome free and the cushioning is full-length. The boots don’t feel too heavy weight and I didn’t need much time to break them in. One thing that is efficient and useful is the heel tension element that is leather reinforced. 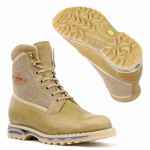 The boots are sturdily made and are easy to resole. When it comes to the downsides of these boots, I wouldn’t know what to write at the moment. For me, finding a pair of hiking boots that worked for my bunions, providing me comfort and support, was the very best thing. I would have liked to find more info on these boots out there, but, as the model is new and hails from Europe, I get it why it was difficult. So, they are sturdy, comfortable, at a fair price and… less known at the moment. If this counts as a „con”, than this is it: hard to find reviews and information on them. I’m more than happy to finally hike in a pleasant way, and in a manner protective of my bunions. That makes me carefree at last!